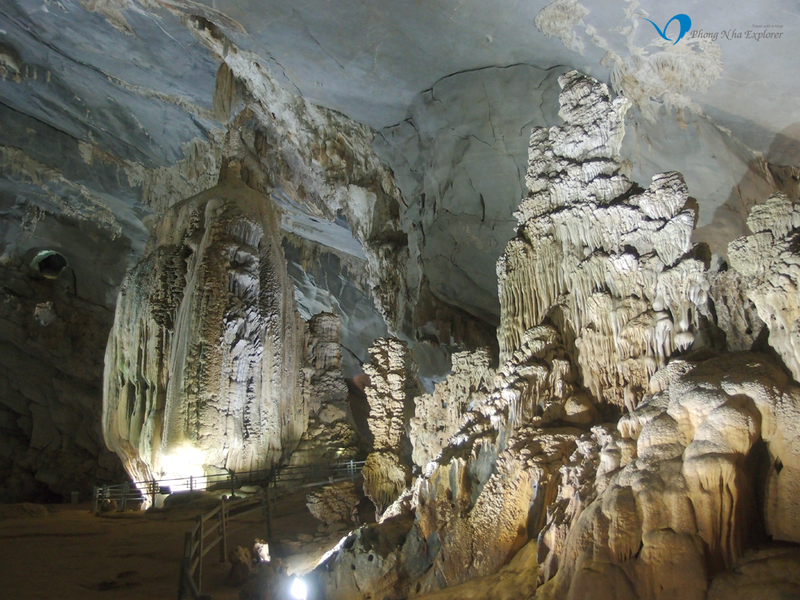 Phong Nha cave has been regarded by British Cave Research Association as the top cave in the world due to its 4 top records: the longest underground river, the highest and longest cave, broadest and most beautiful fine sand beaches inside the caves, the most spectacular stalagmites and stalactites. 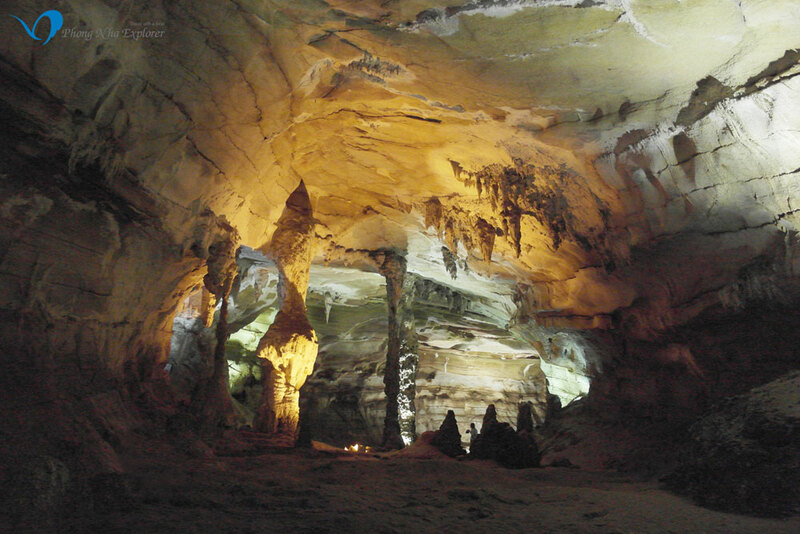 Once you reach at the entrance of cave, you will feel as you are entering in the mouth of mountain. 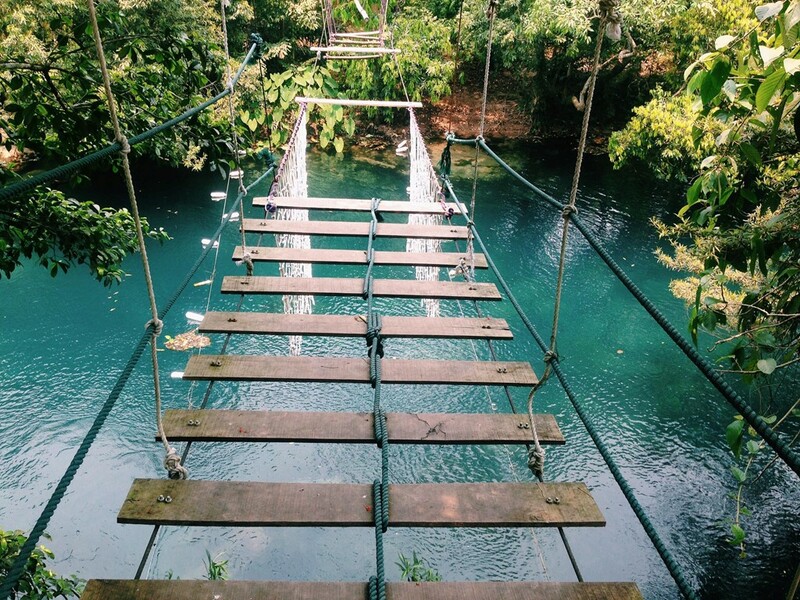 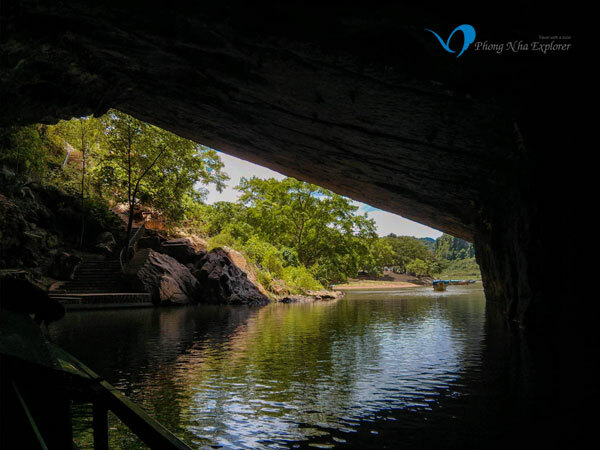 Come to Mooc stream, visitors can creep under the approval of the forest, listening to birds singing, streams, especially to enjoy the relaxing moments of comfort when immersed in cool water. 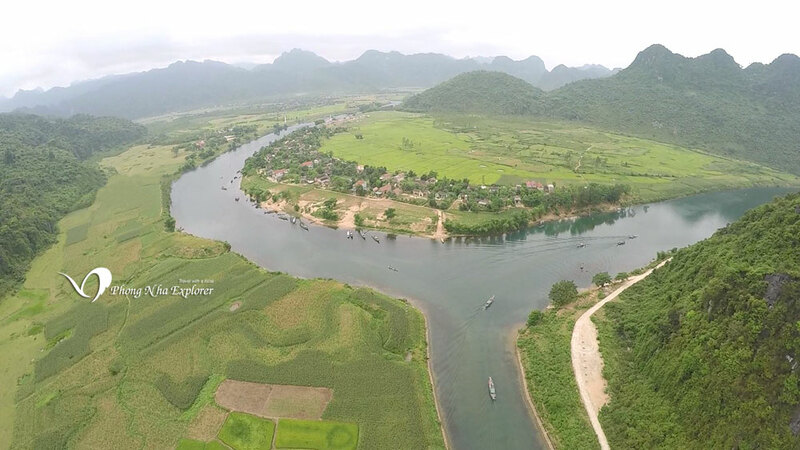 07:30 - 08:00 Our driver and Guide will pick you up at Dong Hoi Train station, airport , bus station ... and hotels at Dong Hoi city or Phong Nha town go to Phong Nha Ke Bang national park. 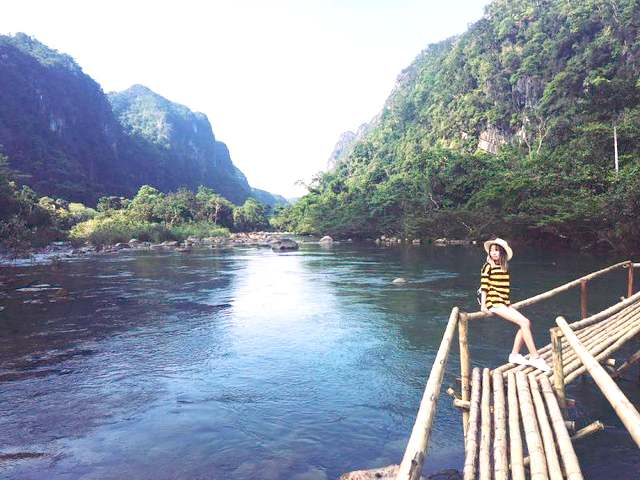 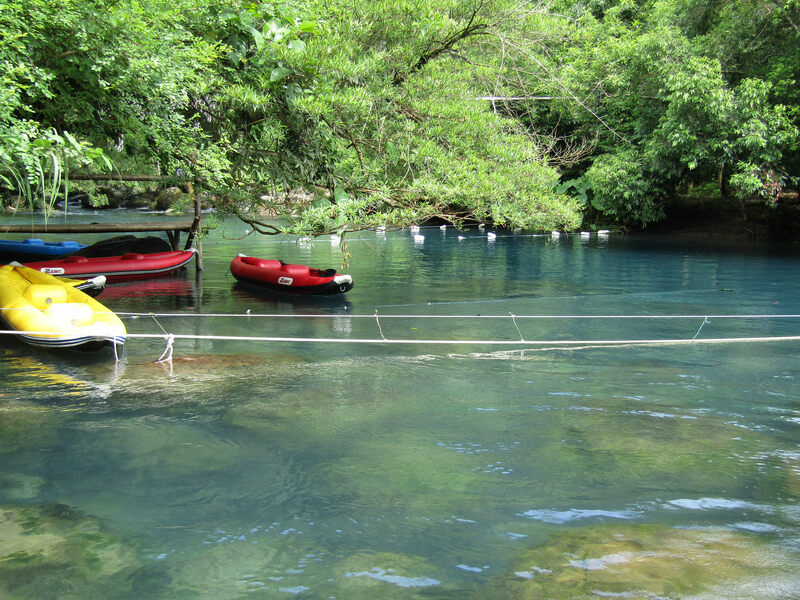 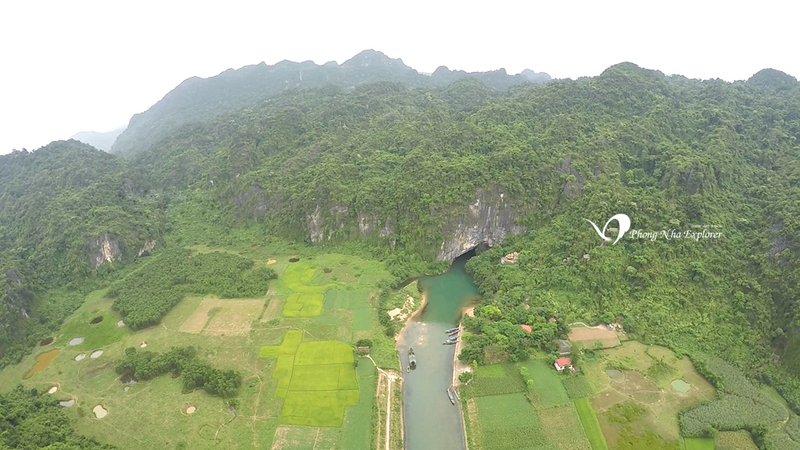 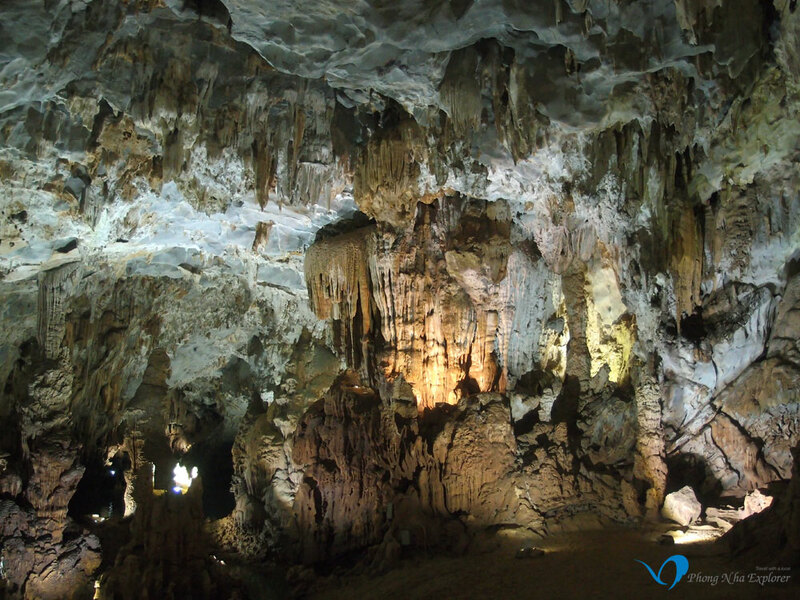 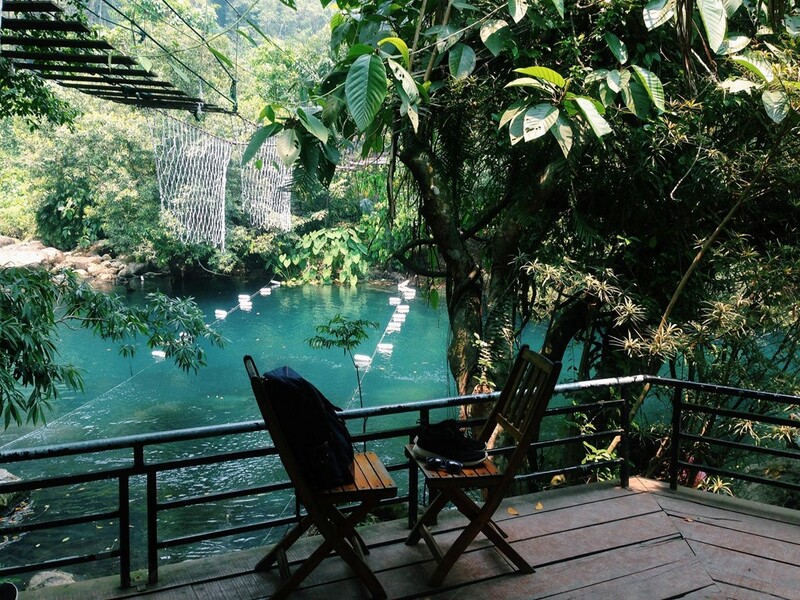 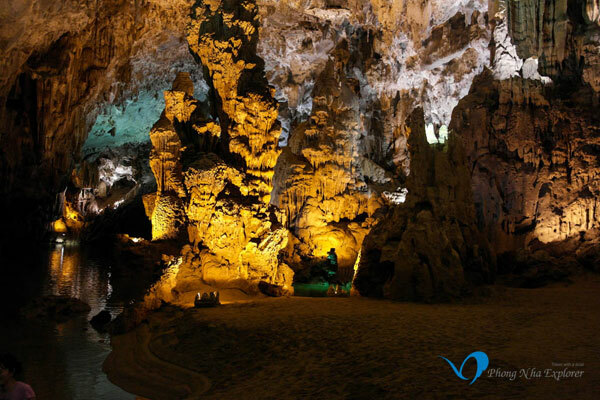 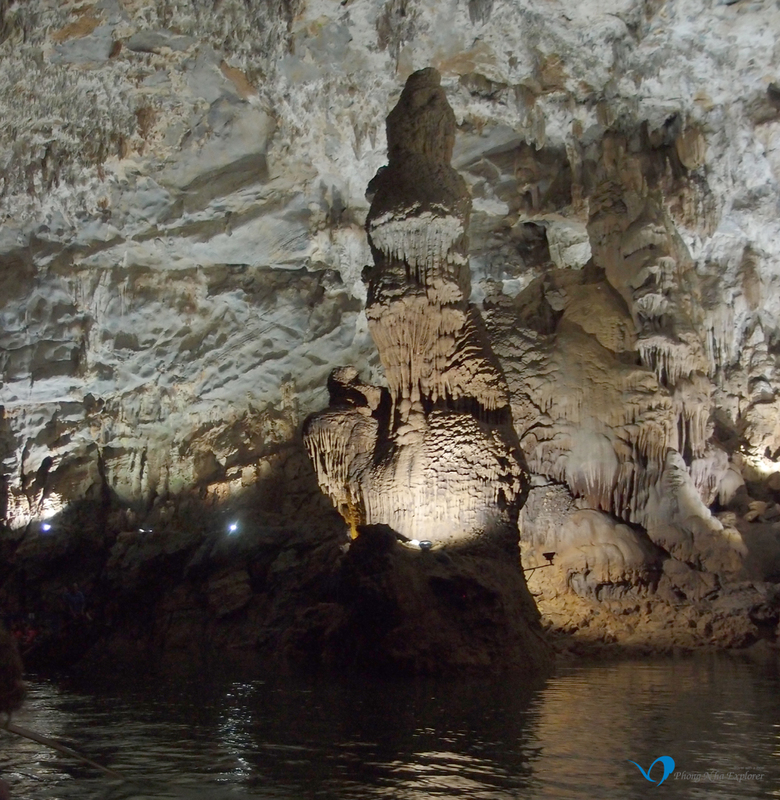 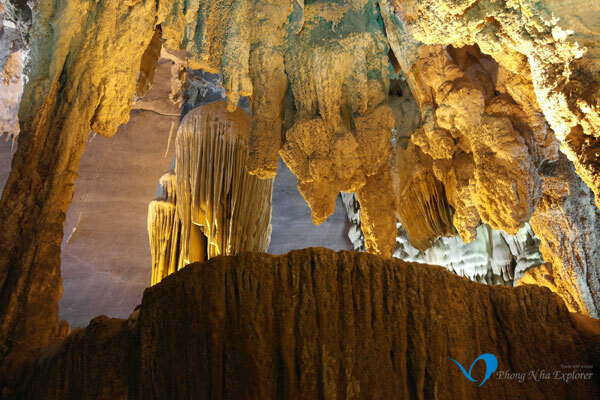 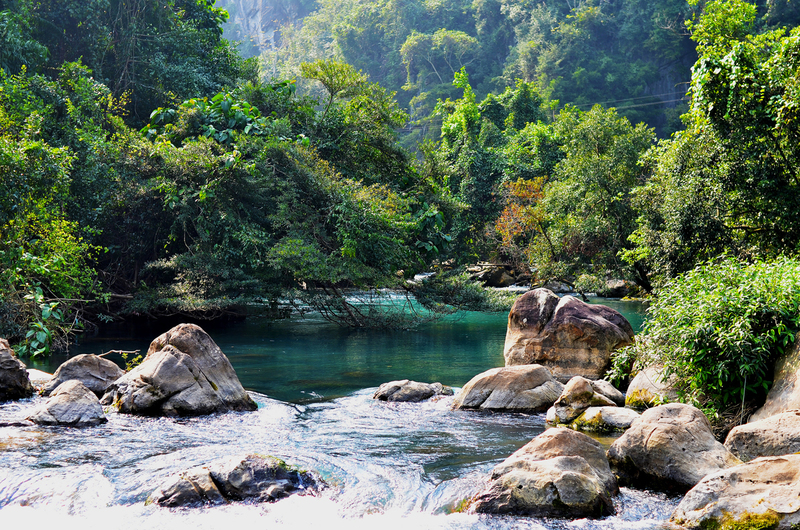 Take a boat approx 5km along the Son River to tour the Phong Nha Cave (river cave).